The National Oceanography Centre (NOC) will be represented at this year’s Oceanology International Americas conference in San Diego, California (25-27 February 2019). The NOC team behind the multiple award nominated WireWall project will be presenting to an international audience and hosting a stand at the three-day exhibition and conference, showcasing some of the NOC’s emerging technology and cutting-edge marine data products. 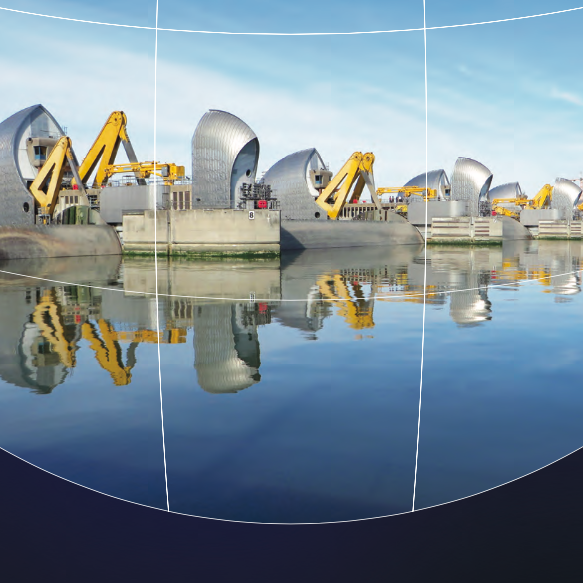 WireWall is an innovative and cost-effective system to help optimise sea defence design and early warning processes, protecting coastal communities and dramatically reducing construction costs. The project is being delivered as a partnership between the NOC and HR Wallingford. In 2018, WireWall was shortlisted for ‘Research Project / Team of the Year’ and ‘Environmental Port Project of the Year’ at the International Dredging and Port Construction Awards for the wave overtopping and coastal hazard monitoring system. The team received a special commendation, which is no small feat when you consider that they were up against the might of the US Army Corps of Engineering. More recently, the project was shortlisted for the Mersey Maritime Industry Awards in the ‘Positive Impact’ category. The winner will be announced in March. WireWall exploits a low-cost instrument that has previously been used to measure waves in the open ocean, and converts it into a system that will measure coastal overtopping hazard. The system will employ a 3-dimensional grid of capacitance wires that detect contact with saltwater. This signal is used to measure the volume and speed of overtopping at vulnerable locations on the 900-metre-long sea wall at Crosby in the North West of England. This sea wall is reaching the end of its design life and detailed monitoring of the local conditions has already started to inform the design of a new wall. The NOC has been providing information, software and advice to the public and private sectors for over 80 years. We are able to analyse scientific data and results in order to produce valuable analyses that translate into real-world benefits for companies and businesses. As part of this work, we have developed a suite of marine data products that are available for purchase. POLPRED is an offshore-based tidal computation and visualisation software package developed by the NOC. The software has been used across a range of industries where knowledge of offshore tides and currents can aid in the planning and execution of operations. POLPRED provides a cost-effective way to anticipate problems arising from tidal movement that is now used by many offshore contractors for both planning and operational activities. It allows users to calculate tidal levels and currents and view them in a variety of ways (time series graphs, contour and vector maps, scatter plots, tidal diamonds, etc). An updated version of POLPRED is in development. Speak to Jill and Lisa at stand J80 to find out what's in the pipeline and how NOC’s marine data products can benefit your business. The NOC is the UK’s leading institution for integrated coastal and deep ocean research. The Centre undertakes and facilitates world-class, agenda-setting scientific research to understand the global ocean by solving challenging multidisciplinary, large scale, long-term marine science problems to underpin international and UK public policy, business and wider societal outcomes. The NOC is a world leading centre for ocean modelling and forecasting shelf sea dynamics. Our marine data products have provided valuable information and intelligence to a diverse range of clients, from small consultancy firms and other SMEs, through to large-scale government funded studies.